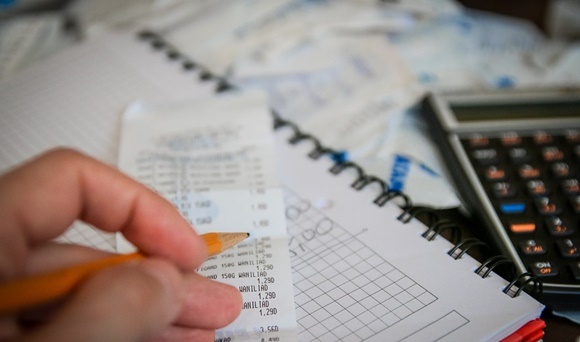 Businesses struggling to pay their tax bills has contributed to HM Revenue & Customs (HMRC) being owed £4.37 billion in unpaid Corporation Tax and VAT, according to new research. Corporation Tax arrears have risen considerably in recent years, with overdue costs amounting to £1.82bn in the 2015-16 financial year and £1.89bn in the 2016-17 financial year. Furthermore, businesses owe an additional £2.48bn in unpaid VAT payments. The key reason behind businesses’ failure to pay their tax liabilities on time is late payments by clients, negatively impacting on cashflow. Despite the Government’s attempts to reduce payment delays for small firms, waiting times for payments are still rising in some sectors. Recent research by Funding Options discovered that firms in the construction sector are forced to wait more than two months (69 days) for payments, up 8% year-on-year. Furthermore, some businesses are being asked to pay for their VAT before they have even received payment from their customers. That’s because many firms are required to submit payment for VAT bills on a quarterly basis, based on the figures charged on their invoices during each quarter, rather than the amounts they have been given. Late payment of VAT bills can lead to HMRC imposing a string of penalties, ranging from director disqualifications to, at worst, winding-up orders. Conrad Ford, founder, Funding Options, says businesses must do whatever they can to plan ahead for their bills and ensure they have sufficient capital to meet their tax liabilities. “Businesses simply can’t afford to miss tax deadlines. The consequences could be severe,” warned Ford. “HMRC expects all companies to make timely payments of tax due, so businesses need to be forward-thinking. It’s essential to factor in the possibility of late payments by clients into their financial planning. If you’re struggling to keep on top of your tax obligations, your local TaxAssist Accountant can act as your Agent for VAT purposes and correspond directly with HMRC on your behalf. Late VAT returns and payments can all result in financial penalties and interest being charged. Let your nearest TaxAssist Accountant take care of your VAT affairs to prevent your business from wasting hard-earned cash on penalties and interest. For an initial free consultation, please don’t hesitate to call us today on 0800 0523 555 or drop us a line using our online enquiry form.